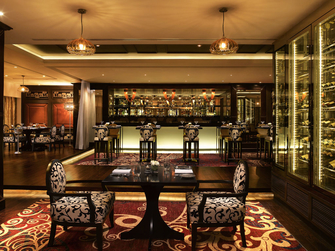 Tuskers – Vegetarian Dining Bar is a specialty restaurant for the selective eaters. As the name suggests, Tuskers is inspired by the most regal of creatures, the merciful vegetarians – the Elephants. 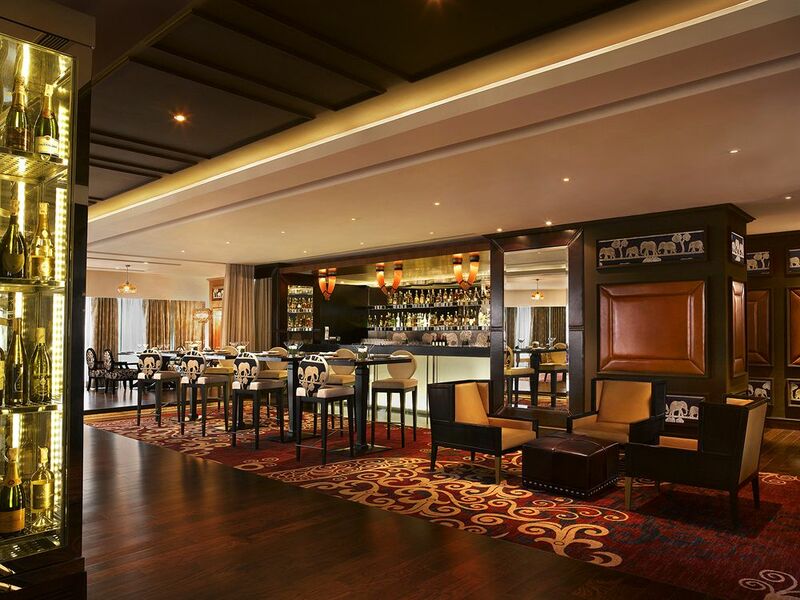 Tuskers is designed to be the ideal venue for dining, having business lunches or for hosting events. The wine cellar houses a fine repertoire of wines and the bar offers a range of exclusive and rare single malts, as well as classic cocktails. Delicious food cooked by a caring chef Jankidasji and served by many smiling faces with radiating positive attitude. Thank you Jankidasji, Mr. Jangid, Pranali and Rohit you made our event very soecial. We enjoyed our dinner at Tuskers with the family. Pradeep Shetty took great care of the entire family. He was attentive to each person's needs and took care of them with a smile. He advised us on the different preparations and guided us through the wonderful choices. Anthony was very good and attentive as well. Small suggestions.... since its THALI, it would be good if the THALI is served empty & the veggies, daal, farsan etc are served piping hot..... it would make the experience even more memorable!! Amazing south indian food. Finger licking good. Very prompt and polite service. Tuskers is one of the best eating place for vegetarian food lovers. Excellent food, excellent staff, good ambiance and in all great place for family and friends get together. It was a wonderful time we group of 10 had at Tuskers. I would say at Tuskers They not only give good service but They care for you and make you feel wanted. Found the food very average. the customer service was pathetic. After getting our table , we had to call out many times for the service. The staff did not make us feel comfortable. It totally lacked the hospitality. We went with kids ( + infant) and requested for some puri's for our toddler and were just served cold ones. even starters were absolutely cold. It was a meal not relished and not liked much by my family. Felt really dissapointed. We are accorplus members and Icelebrated my birthday last yr at Tuskers. Must say the service has dropped and so has the taste of  food. Kofta vegetable was very very bad and the service was not upto the mark, we had to repeatedly ask for water and all which we dont expect from a 5 star. Management must see how hospitable the Taj staff is and try to inculcate that type of culture. Add more options at best price! The food was very good and so was the service. But one thing i would definitely suggest Sofitel is to reduce the rate of all types of indian breads. Each roti cost is around ₹450 which is way too expensive. We regularly dine at other restaurants like Taj Tiqri, Jw Cafe , Sahib Room at St Regis and no restaurant has such high rates for rotis. Zyran and Tuskers are known for Indian food and they dont have a bread basket which would be cheaper. So please reduce the rates in order to be in competition. Very Rigid and Non Cooperative. Should be more practical. An amazing dining experience starts right from the time you step in the restaurant. Right from being greeted pleasantly by staff and chef to the delicious food, it was. Amemorable experience. Every morsel of the starter, main course and dessert was relished. Special mention for Chef Jankidas, Pranali and harilal for serving us so we'll. It was a delightful experience. We are so glad to know you enjoyed our culinary offerings in Tuskers and your appreciative comments are most encouraging and will always be our greatest reward. 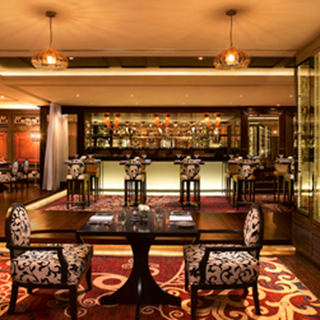 It was a pleasure for us to be at your service and we look forward to welcoming you back soon to Sofitel Mumbai BKC. We had great experience of marwar food and services. Each attendant over there had personal attention. We had nice experience on the occasion of our Wedding Anniversary Evening. Will visit again with family. Excellent food ... We have moved to Mum from Delhi and have not had this kind and quality of food here before !! The team looks forward to welcoming you back soon.